Congratulations to the students and staff who have been very busy with the Angelico Art Exhibition as part of the Catholic Arts Festival. On Tuesday 14 August, I had the pleasure of attending the Angelico Art Exhibition held at the Forrest Centre Perth. Mater Dei exhibited six students’ work in a range of categories. Well done to Rutendo Kagoro, Jess Langdon, Gina Sciuto, Kellianne Shenton, Casey Thompson, Skyla Wolken and staff. One of our students, Casey Thompson, was awarded the Parents and Friends Federation Award. An outstanding achievement! Mr Basile and the Concert Band performed at Newman College on Thursday 16 August in the Concert Band section of the festival. The standard of their performance and presentation was excellent. A fabulous effort. The Dei to Dancers were exceptional on Wednesday night in their competition at the Convention Centre. Both Dance performances were of the highest standard. Well done to Laura Doleman and Tahnee Lane who choreographed “The Last Mass Shooting”, and the Year 11 and 12 Certificate class for their choreography of “Rise Against Hunger”. Thank you to Mrs Wendy Martin, Ms Erin Meckenstock and Mrs Lydia Emanuele. 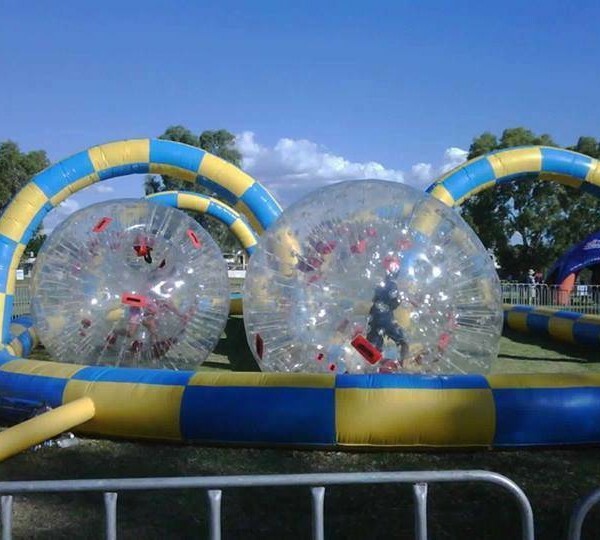 The College Wellbeing week last week was filled with numerous activities for the students and the staff to enjoy. Thank you to Janine and Maddie, our Wellbeing Staff, who coordinated the many and varied activities. The staff at the Expo on the Thursday made particular mention of the excellent conduct of our students. Whilst this term has been very busy with the Arts, we have also had many other activities taking place for our students. Last weekend, Mater Dei took part in our first Pedal Prix competition held in Busselton. Thank you to Ms O’Shea, Head of Science, for organising and coordinating this activity for our students. My thanks also to Ms Brown, Mr Raymond and Mr Green for accompanying the students to the event for the weekend. Families should have received more information about the upcoming 25th Anniversary Fair and Showcase this week. Please come along with your family and friends to support our community and the students Showcase event on Saturday 8 September. God, no one is stranger to you and no one is ever far from your loving care. In your kindness watch over migrants, refugees and asylum seekers, those separated from their loved ones, those who are lost and those who have been exiled from their homes. We ask this through Christ our Lord who, too, was a refugee and migrant who travelled to another land searching for a home. The next round of OLNA will be held next week. An email has been sent home to parents of all Year 10, 11 and 12 students concerned. Note the following dates and times for each assessment area. All assessments will be held in the upper Benedict block during Period One each morning. Mrs Scott’s students have been allocated Room BEN13. As indicated below, after school OLNA support sessions continue this week. Compulsory attendance is required for all Year 12 OLNA students and is strongly recommended for students in Years 10 and 11. This year, for the first time, a group of Year 10 students from Mater Dei College took part in the Busselton Pedal Prix, which is a competition to build and race a Human Powered Vehicle. The 13 students and a handful of staff headed off on Friday afternoon, 17 August, for a fun-filled, three-hour bus ride to Busselton. Although, the team were inexperienced and had minimal training, they didn’t disappoint. Sunday was race day and the staff and students were eager to get to the track, and check out our competition. When we arrived at Busselton foreshore at 7:30am, it was less than 8˚C and despite the cold, the team were full of excitement and nerves as the magnitude of the event began to sink in. A strong start by our Team Captain was what the team needed, but soon we experienced mechanical difficulties, resulting in time spent in the pit problem-solving the issues that the riders were experiencing. Eventually we found our rhythm and began to gather momentum. The circuit was just under a kilometre in length and included a number of sharp hair-pin turns, tight corner bends and bottle-neck straights, but in the end, and thanks to an amazing team effort, we completed over 100 laps of the circuit. This put MDC in the top 19 in our category and in the top 50 teams overall. We would like to thank the staff and parents who made this an extremely worthwhile opportunity for all of the students who were involved. Special thanks to Ms O’Shea for organising the program and the weekend away, Mr Raymond for helping with the mechanical issues with our trike on event day, Mr Green for being our chauffeur and for volunteering to be the school’s representative as one of the event marshals and Ms Brown for cooking all the lovely and delicious food for us during our trip. Thanks also go to Mr Basile for coming down as a surprise visit to give encouragement to all the riders and last but not least, thanks to Alan and Tameka Pryce for showing their support for staff and students throughout the whole weekend. On behalf of the 2018 Mater Dei College’s Pedal Prix Team, we are truly appreciative for all you have done for us. Get excited, Mater Dei! Hairspray is on its way! 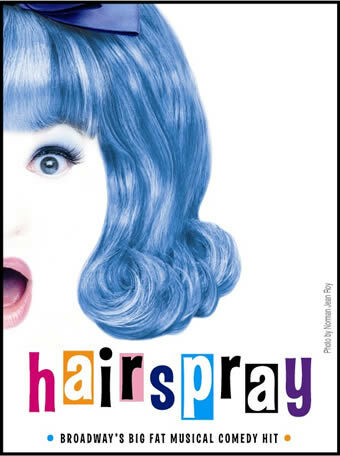 At last week’s whole school assembly, it was announced that the 2019 musical production will be the hit Broadway sensation, Hairspray. Auditions will take place on Thursday and Friday afternoons in Week 8 with a view to casting the show before the end of Term 3. This whole school production will be proudly staged in our Bernie Boss Hall in May 2019, so keep an eye out next year for the details you will need to secure your tickets! The Library is celebrating the theme of ‘Find Your Treasure’ with a number of activities, including quizzes, puzzles, a treasure hunt, a treasure puzzle, the final of the Chess Competition and a dress up day on Friday 24 August, with the proceeds going to the Social Action Group and the Vinnies Winter Appeal. 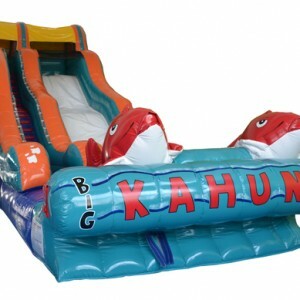 More details and winners will be announced in the next newsletter. As one of Australia's richest Portraiture Prizes, the Black Swan Prize for Portraiture showcases Australia's most talented artists. 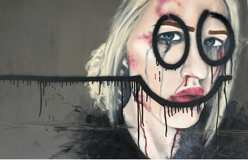 This year, from over 160 entrants, Year 12 student Jessica Langdon became one of 30 finalists in the Black Swan Prize for Portraiture Youth Award with her painting, Smile More. Jessica’s work will be on display at Tower 1, Brookfield Place, 125 St Georges Terrace, Perth from Monday 29 October – Friday 23 November 2018. The finalist artworks can be viewed on the Black Swan Prize for Portraiture website. The awards night takes place on the 7 November 2018 and we wish Jessica all the very best for the judge’s selection. 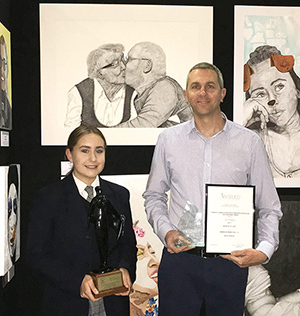 Casey Thompson has been awarded the 2018 Parents and Friends Federation of Western Australia Encouragement Award at the Angelico Art Exhibition currently on in St Georges Terrace. Casey should be extremely proud of her achievement. She produced an amazing detailed piece using black pens. The standard at this year’s exhibition was outstanding across a range of mediums and categories. Casey’s work stood out amongst a selection of the best artworks created in the Catholic Education system. Well done, Casey. You have made us all proud. 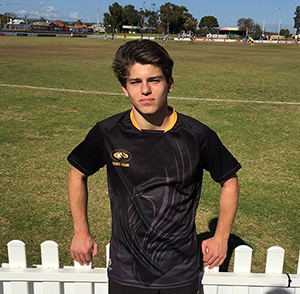 Sav Marafioti was one of 25 players to be selected to represent both Mater Dei College and WA in the U15 State Schoolboys AFL Team. The National Championships were played in July in Adelaide. The WA team went on to win the Bronze medal! This is the second year in a row that Sav has been selected to represent WA. His football ability was recognised as he was selected as part of the starting 18 for each game (there are only 22 of the 25 selected for each game). Additionally, Sav was identified in the top 5 players for 3 out of the 5 games played. Skills West Careers Expo is Western Australia's leading, largest and most attended careers and employment event that enables visitors to explore tertiary and VET course options, find traineeships, apprenticeships, plan new career pathways and find employment. Skills West Careers Expo is Free for all visitors to attend and will be held on 17 - 19 August, 2018 at the Perth Convention and Exhibition Centre. WHY DO VET IN SCHOOLS? 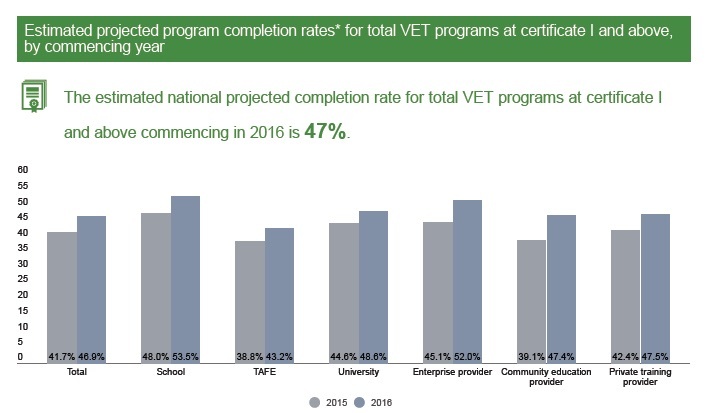 Although it’s not wise to look at any statistic in isolation, the data in the 2017 VET Report by NCVER shows you have a better chance of finishing a VET program if you complete it through school (53.5%) versus through TAFE (43.2%) or a private provider (47.5%) – which may be worth considering if you’re looking at a VET in Schools program. Here at Mater Dei College we offer eight Certificate II courses at school and a wide variety through our Careerlink external program ranging from Cert II - IV. Students that complete these certificates through Year 11 and 12 are more competitive when transitioning from school whether that be to employment or further study. They gain industry specific skills and general employment skills through their course and while on work placement. A student that completes a Cert IV in Year 12 and gains either an A grade in General English or a C grade in ATAR English can use this for alternative pathway to university if they wish. If you would like more information please see Mrs Hill Career, VET Coordinator. Find new ways to explore careers and prep for work by reading articles and using the tools provided. At work (I want to succeed at work). A reminder that the Parent Information Evening – Managing Exam Stress is being held on Murdoch University’s South Street Campus this Wednesday 16 August at 6:00pm. Our Parent Information evenings aim to provide you with the right tools and information to confidently support your child’s journey into tertiary education. 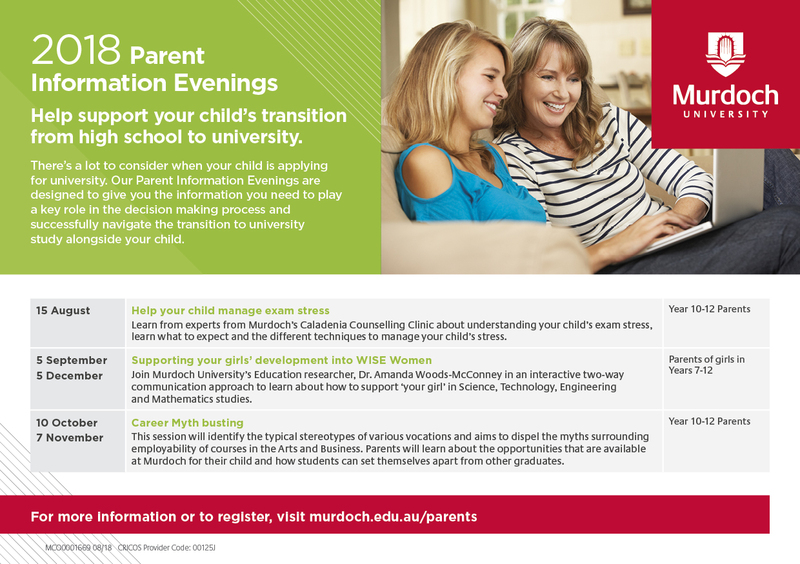 To see the full list of Parent Information Evenings visit: murdoch.edu.au/parents. 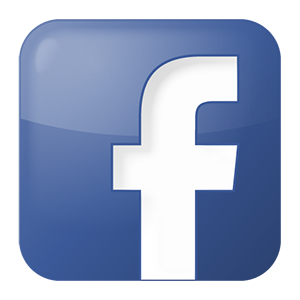 Held on Thursday 6 September 2018, at the Duncraig Community Centre 6:30–9:30pm. This is your chance to chat with our friendly Future Students Officers about your study plans and get answers to all your questions. These sessions will help you to discover the wide range of opportunities that lie beyond high school. Our vibrant campus and student experience. To download a flyer click on the image below. 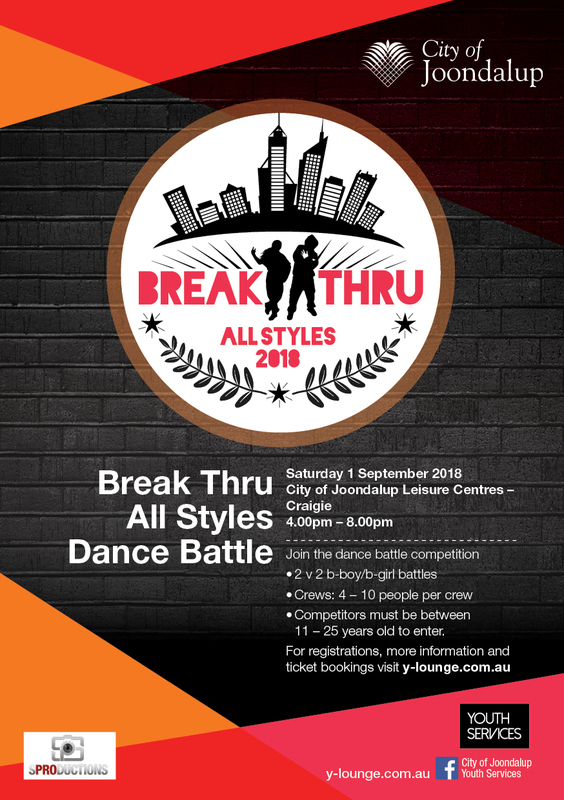 Come and check out some of Perth’s best dancers at City of Joondalup’s very first dance battle competition. Local B-boys and B-girls will pair up to compete against each other in 2 v 2 battles. Registrations for this category will be on the day from 3.00pm to 3.30pm for people aged 11 to 25 years. Six All-style dance crews will showcase their talents in a crew performance followed by individual battle rounds in the finals. Entry is FREE and people of all ages are welcome to attend.